Lock in a great price for Pratagy Beach - All Inclusive Resort - Wyndham – rated 8.3 by recent guests! The rooms are clean and spacious. Also liked the big flat TV and the king size bed. There is food all day long on the All Inclusive package - from the moment you wake up from the moment you go to bed you can get alcoholics and non-alcoholics beverages, finger food in between main meals and the main meals (breakfast, lunch and dinner) serves a great variety of dishes. The recreation staff for kids are the best, very reliable and professional, they really love kids! The kids club in the resort is awesome, ten days my daughter had most of the time there and enjoyed a lot! Beach there is wonderful, one of the best I have ever seen, green water, clean, long and safe, The hotel management is quite impressive, the organization of the Christmas evening was a great success. I would like to travel back again in the future. Da pizza! A pizza era ótima todos os dias sem erro. Bar ótimo. Atendimento cordial, com sorriso. O lugar é maravilhoso. Bebidas e atendimento muito bons. Quarto e banheiro amplos. Foi tudo perfeito! A estadia, o lugar, os staffs, a comida, as atividades noturnas. Tudo muito além da expectativa. Tranquilidade, limpeza, localização, equipe de monitores das crianças. Gostei de tudo sem exceção tudo perfeito atedimento acomodação all inclusive tudo tudo maravilhoso. Pratagy Beach - All Inclusive Resort - Wyndham This rating is a reflection of how the property compares to the industry standard when it comes to price, facilities and services available. It's based on a self-evaluation by the property. Use this rating to help choose your stay! 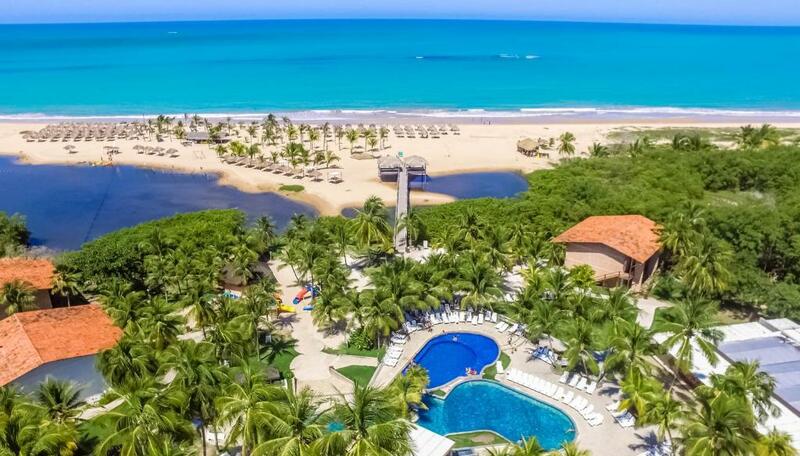 One of our top picks in Maceió.Located in an environmentally protected area on Sereia Pratagy Beach and surrounded by untouched nature, Pratagy Beach offers all inclusive accommodations, just a few steps from the beach. Free WiFi is available in the public areas and free private parking is possible on site. Guests can enjoy the outdoor swimming pool, relax in the natural pools right in front of the resort or explore the marine life through diving activities, stand up paddle and kayaking. An array of leisure facilities is available at the resort,which includes a games room, a fitness center, theater, a kids playground and tennis,football,basketball and volleyball courts. Children also benefit from the assistance of the the recreation staff and baby sitter services. The spacious and airy rooms at Pratagy Beach are air-conditioned and boast a balcony with garden or pool views,a safety deposit box, a 32'' LCD TV with cable channels and a mini-bar. The private bathroom includes a shower,free toiletries and a hairdryer. Some rooms are furnished with beach-style décor and include a spa bath. Guests can taste an array of meal options at Restaurante Canavial,which menu includes international cuisine with a regional touch, a wide selection of salads,pasta,sea food options and desserts. The daily buffet breakfast includes hot and cold beverages,breads,cakes, fresh fruits,cold cuts and characteristic delicacies. The pool and beach bars offer selected drinks and cocktails, as well as snacks. 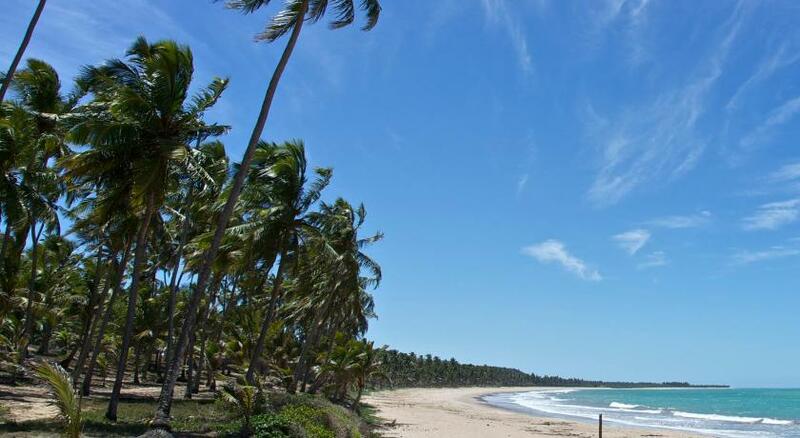 Pratagy Beach - All Inclusive Resort is 21 mi from Zumbi dos Palmares Airport and 12 mi from Maceió City Center. When would you like to stay at Pratagy Beach - All Inclusive Resort - Wyndham? Located in the main building,nearby the reception, this studio features balcony with views to the internal gardens. It features air conditioning,a safety deposit box, a 32'' LCD TV with cable channels and a mini-bar. The private bathroom includes a shower,free toiletries and a hairdryer. Located nearby the beach, this room features a balcony,air conditioning,a safety deposit box, a 32'' LCD TV with cable channels and a mini-bar. The private bathroom includes a shower,free toiletries and a hairdryer. This hut-style room features a balcony with garden views and features air conditioning,a safety deposit box, a 32'' LCD TV with cable channels and a mini-bar. The private bathroom includes a shower,free toiletries and a hairdryer. Elegantly decorated with modern furnishing and located near the beach and river, this room features a balcony,air conditioning,a safety deposit box, a 32'' LCD TV with cable channels and a mini-bar. The private bathroom includes a shower,free toiletries and a hairdryer. Surrounded by nature and boasting beach-style décor, this suite features a balcony fitted with a spa bath,air conditioning,a safety deposit box, a 32'' LCD TV with cable channels and a mini-bar. The private bathroom includes a shower,free toiletries and a hairdryer. The access to the beach and to the main area of the resort is possible through shuttle service, available from 7:00 to 2:00. House Rules Pratagy Beach - All Inclusive Resort - Wyndham takes special requests – add in the next step! Pratagy Beach - All Inclusive Resort - Wyndham accepts these cards and reserves the right to temporarily hold an amount prior to arrival. Brazilian Visa and Mastercard credit card holders may pay up to 6 installments at the property. Please note this offer is not applicable to the deposit policy. All children under the age of 18 must present government-issue ID and/or a notarized statement of recognition from parent or guardian as mandated in Statute of Children and Adolescents ( ECA ). Failure to submit these documents will result in automatic cancellation of the booking. During the dinner there is an area on where the kids stay with monitors (people who basically baby sit the kids) are sitting too close to the mains restaurant area and therefore lots of noise is going on. That should be changed as makes the dinner time not as pleasant for the majority of the tables... I believe it would be better to have some more food options at the beach bar throughout the day, including some deserts.